Incredibly, in the space of a little over two weeks, the Anti-Defamation League (ADL), headed by Jonathan Greenblatt, wrongly condemned and/or defamed three wonderful pro-Israel organizations and three fabulous pro-Israel individuals and political leaders who expose and/or combat radical Islamists and anti-Semites. On April 24, ADL National falsely accused the Canary Mission of “antithetical and destructive” “Islamophobic & racist rhetoric,” and thanked University of Michigan students for writing a letter attacking Canary Mission. Similarly, on April 10, ADL’s Jonathan Greenblatt and Marvin Nathan wrote an 11-page, single-space letter to the Senate Foreign Relations Committee, attacking then-nominee-Secretary of State and strongly pro-Israel CIA Director Cong. Mike Pompeo for expressing concerns about radical Islamists and the need for Muslim leaders to condemn terror, and for associating with pro-Israel national security organizations that ADL also unjustly maligned. Under Jonathan Greenblatt’s leadership, ADL is attacking the groups and individuals who are doing exactly what ADL’s mission statement requires ADL to do. ADL’s attacks on dedicated pro-Israel individuals and groups that defend and fight for Israel and combat anti-Israel radical Islamist anti-Semitism are particularly confusing, disheartening and upsetting because the ADL states that the first plank of its mission is “to stop the defamation of the Jewish people.” Nevertheless, under Jonathan Greenblatt’s leadership, ADL is attacking the groups and individuals who are doing exactly what ADL’s mission statement requires ADL to do. In addition to ADL’s attacks on the Jewish people’s friends, it’s also upsetting thst ADL sometimes fails to speak up when it should do so. For instance, when Fox commentator Geraldo Rivera recently stated that he should have backed Arafat’s terrorism intifada, which murdered 2000 Jews and maimed 10,000 more, ADL was deafeningly silent. 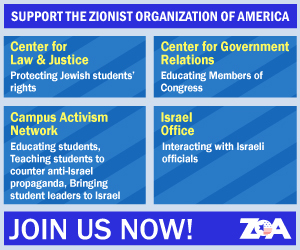 (See “ZOA Action Alert: Fox News Must Fire Geraldo Rivera for His Supporting Massacre of Jews by Second Intifada,” Apr. 4, 2018 “Fox News Airs Geraldo Rivera’s Anti-Israel Disinformation,” by Myron Kaplan, JNS, Apr. 24, 2018. Yet ADL was deafeningly silent when Fox commentator Geraldo Rivera recently stated that he should have backed Arafat’s terrorism intifada, which murdered 2000 Jews and maimed 10,000 more. It’s time for Jonathan Greenblatt and the ADL to (1) end their counterproductive, harmful attacks on the best friends and fighters for the safety of the Jewish, Israeli and American people; (2) spend more of their time and resources on focusing fighting for Israel and the Jewish people; (3) not place in a positive light those hostile to Israel like J Street and BlackLivesMatter; and (4) be careful not to carelessly use the term Islamophobia to those fighting radical Islamists and Jihadists, where it surely doesn’t apply.